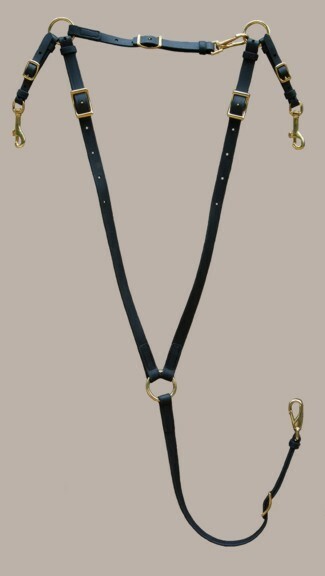 This breastplate has adjustable shoulders, wither strap, saddle connector straps and girth strap. It is a simple light weight design. 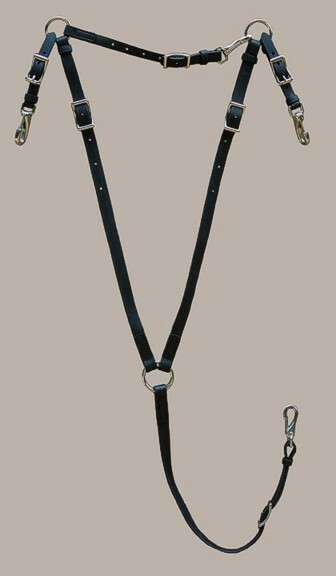 The breastplate is adjustable in the shoulders, wither and girth strap by conway buckles. 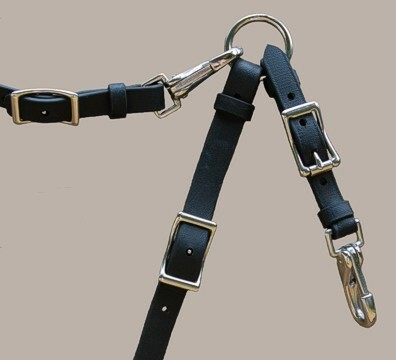 Pictured in black beta with stainless steel hardware. 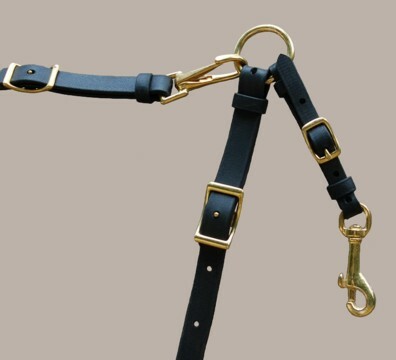 The Style S breastplate pictured in brass hardware and black beta. Pictured in black beta with brass hardware. 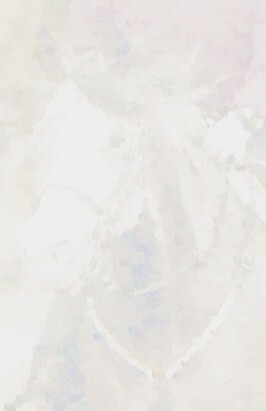 The above breastplate may be ordered online below. Choose solid brass hardware or stainless steel hardware. This breastplate style may ordered with PayPal or a credit card in 10 beta color choices over a black beta base: black, blue, red, chestnut brown, wine, violet, teal, hunter green, white & yellow. Choose your hardware and color. Shipping prices are for domestic shipping only. Email or call for ordering outside of the United States. We have several shipping options available.